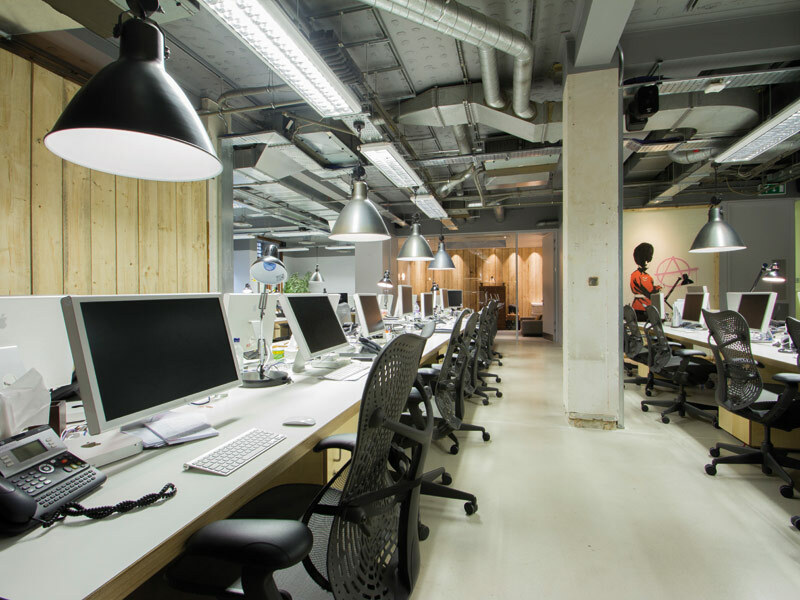 B3 Designers has redesigned the London offices of creative studio Moving Picture Company. The Soho-based company is a leader in the VFX (visual effects) field and has been creating spectacular visual experiences in the film, advertising and entertainment industries for more than 25 years. So tasked with creating an inspiring and adaptable space for the post-production company meant that B3 Designers had to re-evaluate some of its design thinking to provide a suitable workplace for MPC. 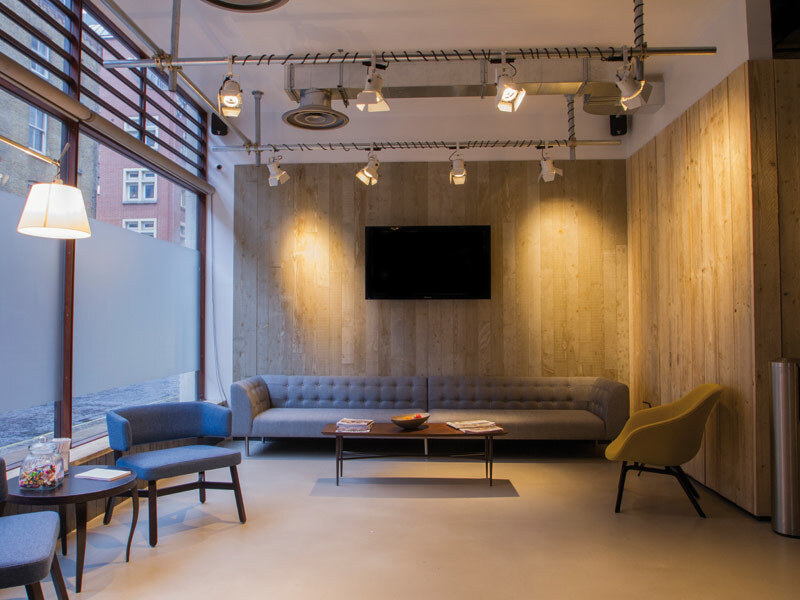 The design team was given a brief to create an inspiring, welcoming, creative and comfortable workspace that was representative of an innovative and established, global post-production company. The challenges of the project presented themselves early on. 'As a large portion of the MPC teams work quite closely on visual effects, they value the ability to alter the level of light in the space to let them to make it quite dark as and when needed,' says Mark Bithrey, design director at B3 Designers. He says that workspaces, including B3 Designer's own studio, typically aim for high levels of illumination, and ideally include ample natural night, so here an alternative solution was needed to allow a controllable light source. 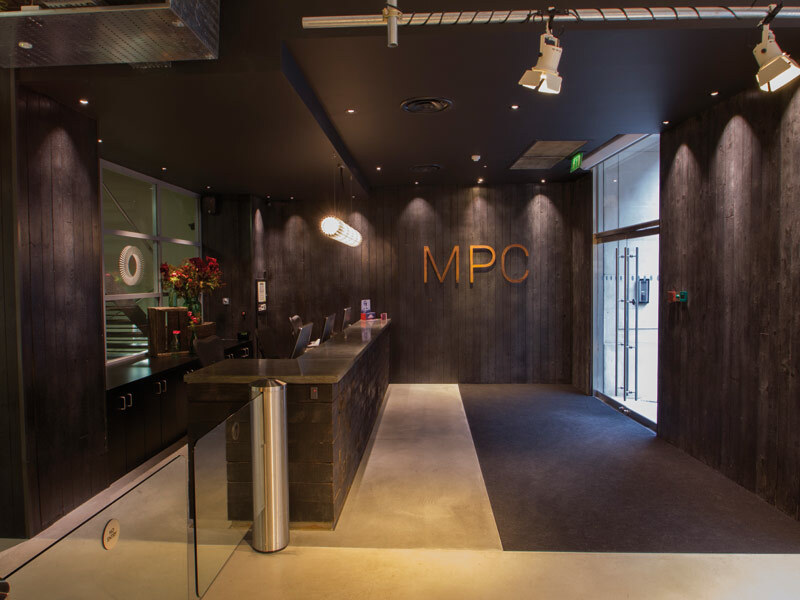 MPC's front-of-house space is authoritative, dark and cool, with a visual focus on the reception desk with its poured concrete top and blackened timber cladding. Move on to the staff area and a more casual space is revealed that uses such features as melamine faced ply desktops and scaffolding boards for joinery and wall cladding, industrial bulkhead wall lights in stainless steel and exposed steel conduit detail. 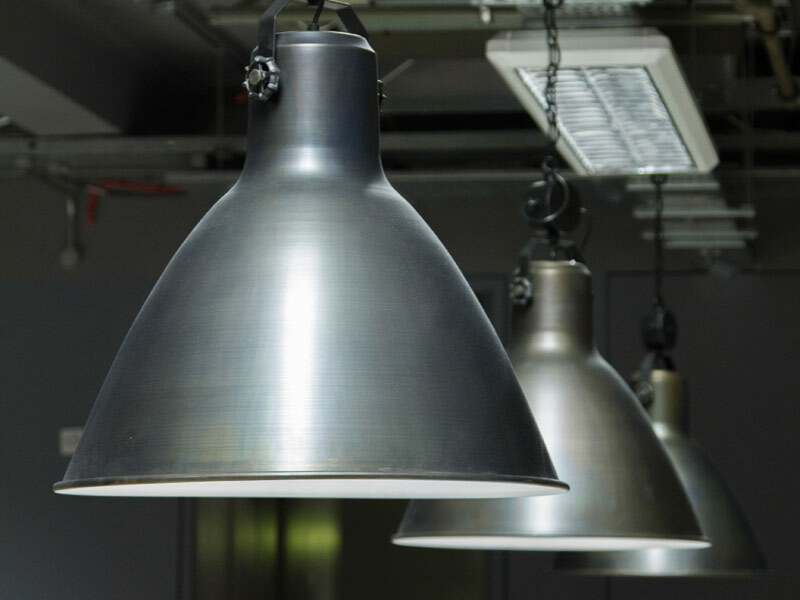 Long, uniform, shared desks with oversized can light pendants overhead provide the required adjustable light levels for the animators. In the director's office timber-clad walls sit around the iroko desks, vintage teak tambour units, mid-century Danish sofas reupholstered in Bute fabric and Ercol chairs, all adding up to a lighter feeling ambience. 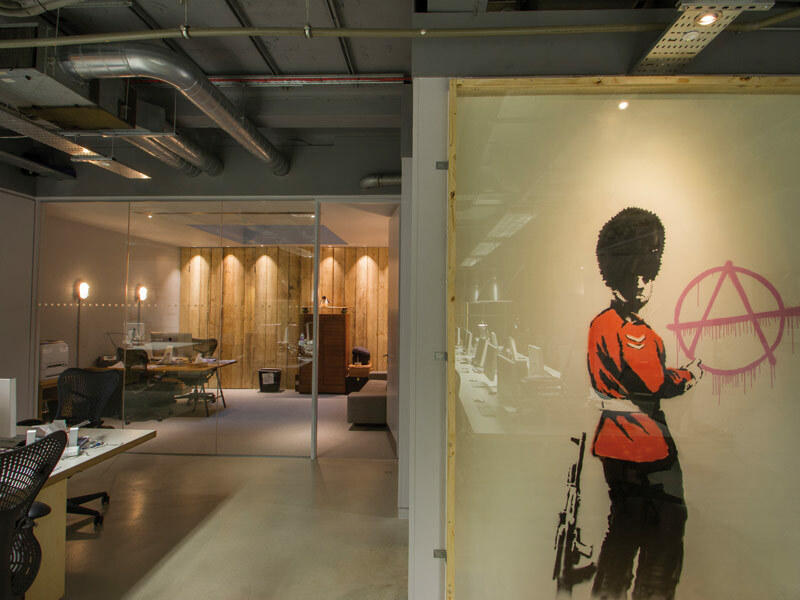 The communal desks in the main workspace are directed towards a wall painted by Banksy, a second gift from the artist after his original artwork in the building, a small rat, was accidentally painted over. 'MPC helped Banksy with a promo and, as a thank you, he sprayed a little rat on an interior wall,' says Bithrey. 'This was unbeknown to the MPC's director however - who thought it was vandalism - and the stencil was quickly painted over!' The main wall of the workspace is now adorned with a bigger Banksy, who came back to do it after hearing about the incident.